In Barcelona, to access any club you need to buy a ticket which usually includes the first drink. Prices vary depending on each club and they may be between 10€ and 25€. Any extra drink may easily be 10€. The opening hours of nightclubs is from about 0:00 to 6:00, being the busiest time at 3:00. Some clubs have strict regulation regarding dress code and enter may be refused if guards consider you wear unappropriate clothes. Remember that in Spain there is a ban on smoking in bars and nightclubs. RAZZMATAZZ – very large discotheque with several large rooms with different environments. Also hosts rock concerts, sound and room accoustics are very appreciated by fans. Formerly known as ‘Celeste’ it’s been always a reference for the city. Address: Almogavars 122 (Metro Pueblo Nuevo L4 or Marina L1). OTTO ZUTZ CLUB – Located in a former textile factory which organizes parties, concerts, audiovisual and other social events. This club has 2 rooms, one dedicated to black music and the other alternative/techno music. CATWALK – Fashionable club at the Olympic Port, music, DJ’s in a very nice place close to the beach. SHOKO – Close to Catwalk club, it is very fashionable too and it is located at the beach. 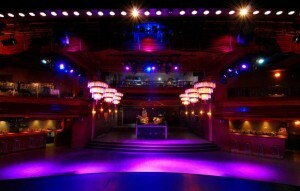 LUZ DE GAS – Discotheque located in an old theater. Nice club and nice environment. Security guards are very strict on clothes of the people and large groups of people can not be allowed to enter. Luz de Gas offers live performances daily before discotheque is open. SALA BIKINI – Discotheque very popular in Barcelona for over 2 decades, the club counts with 2 rooms and it is suitable for music concerts. 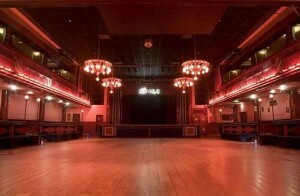 SALA APOLO – Concert hall, almost daily, of new and alternative groups. Afterwards it becomes a trendy club in alternative sounds. JAMBOREE – Barcelona’s legendary nightclub at Plaça Reial (City Center) with DJs from 02:30.